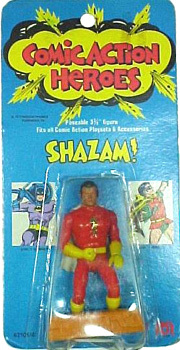 This episode of Vintage Mego covers all the basics of the Mc Toys in Germany. 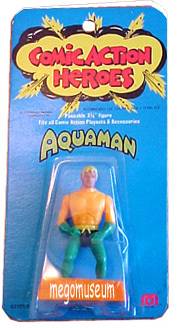 <a href=”https://www.youtube.com/channel/UCwYta3nz_7FAzPvP8FPSgpg”>Subscribe to us on Youtube for more</a>! 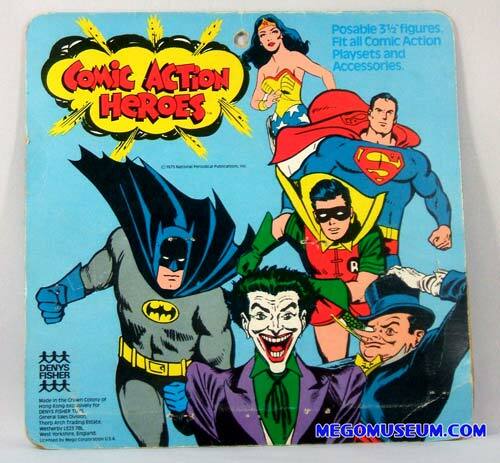 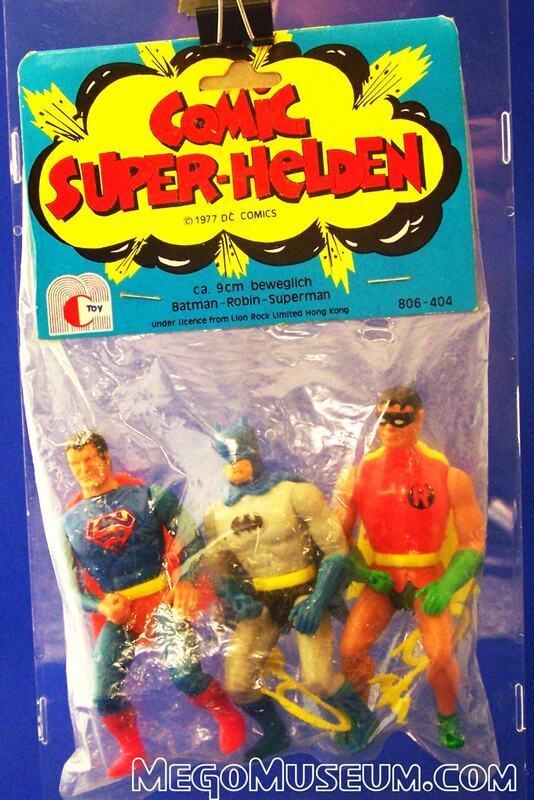 This extremely rare German three pack of Comic Action Heroes recently surfaced in a collection. 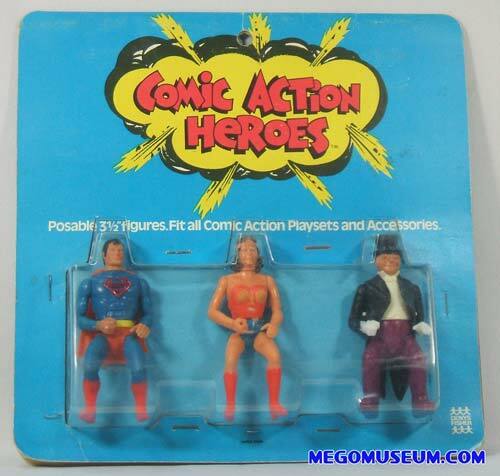 It is amazing after 30 years, that Mego discoveries can still be made.McToys was the Mego Distributor in Germany during the late 1970s taking over from Topsy Toys. 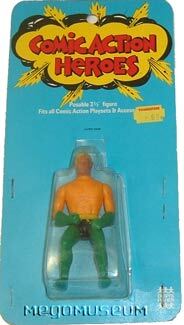 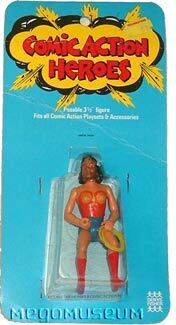 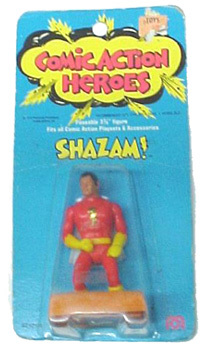 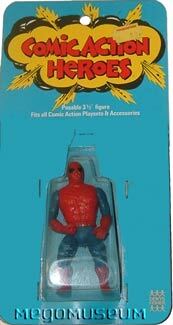 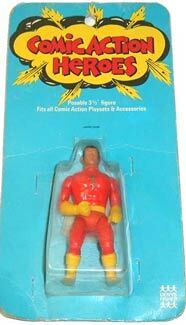 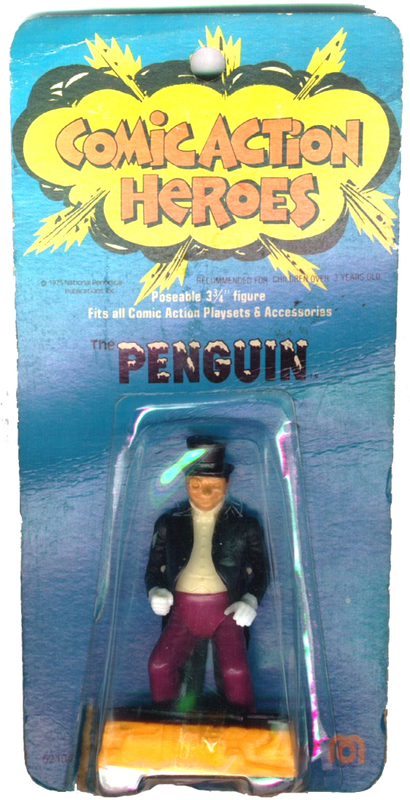 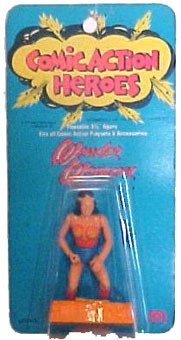 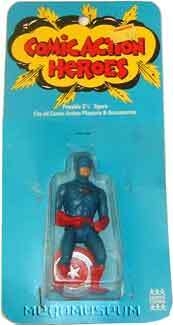 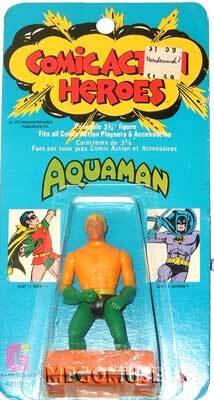 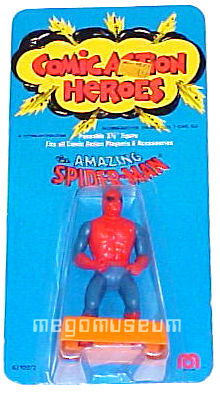 They sold a number of Comic Action Characters although this is the only packaged example we’ve come across. 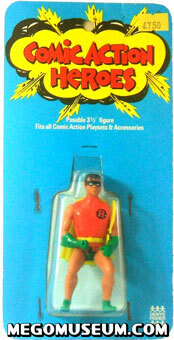 Click the video for more information on McToys and Comic Action Helden. 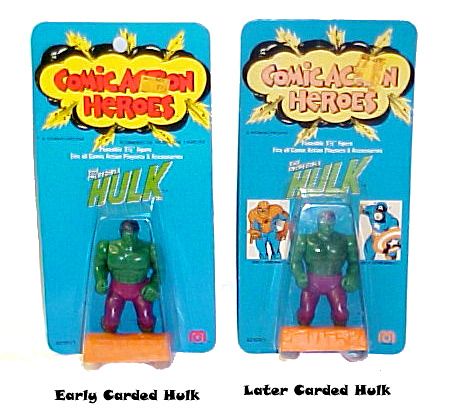 US Mego cards came in two variations, it is believed the blank cards were earlier. 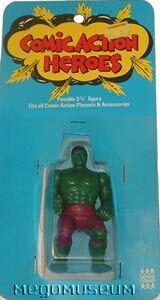 See Hulk pic below. 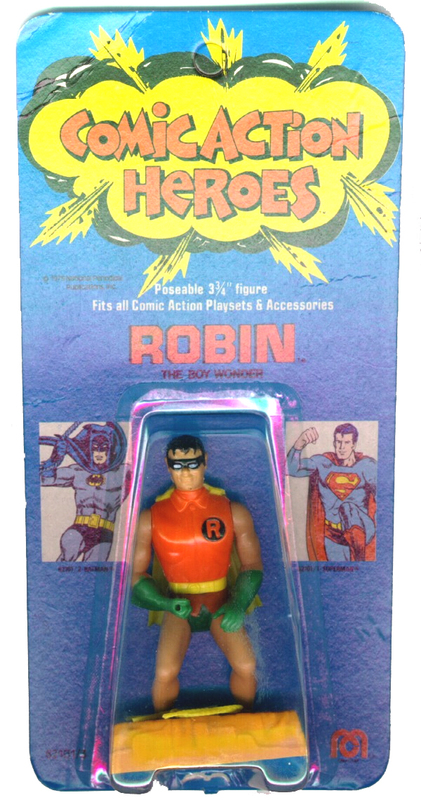 Like the 8″ Kresge and Bend N Flex cards, the bubbles are always centered, later Pocket Superheroes releases featured bubbles on opposing sides depending on variant. 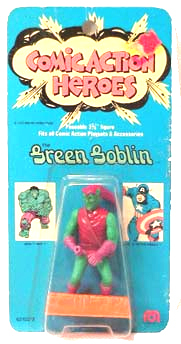 it is completely bilingual, note the early Grand Logo in the corner. 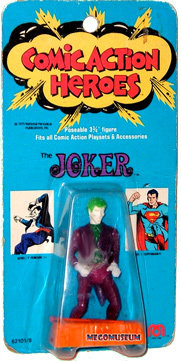 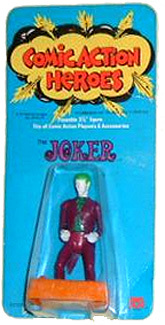 Joker was issued in the UK without his jacket. 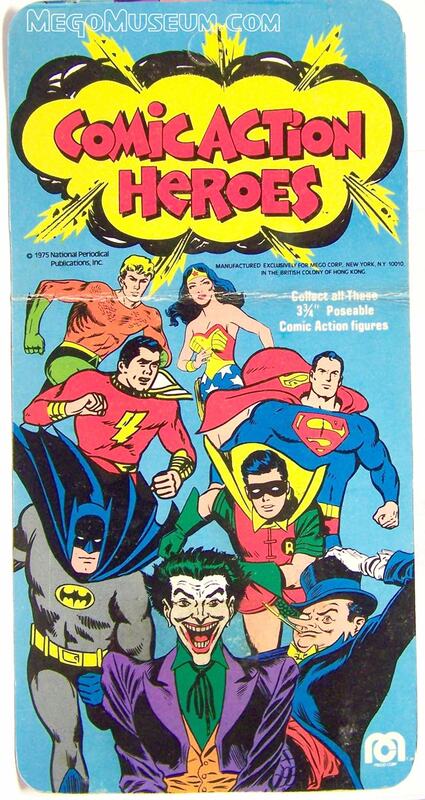 The basic Denys Fisher card is generic and staple bound so essentially, each figure has the same card. 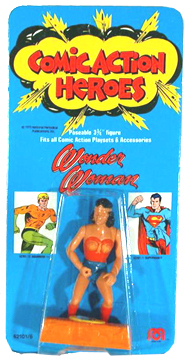 The main difference is that figures do not come with their stands, hard to tell why but it was most likely a cost cutting measure. 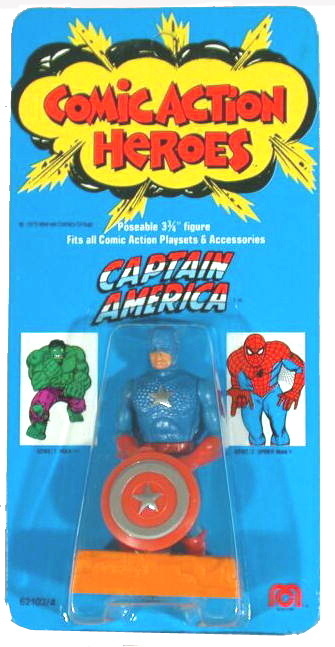 Stapled in the card is a small CAH catalogue, I’d love to see it but can’t open the card to do so. 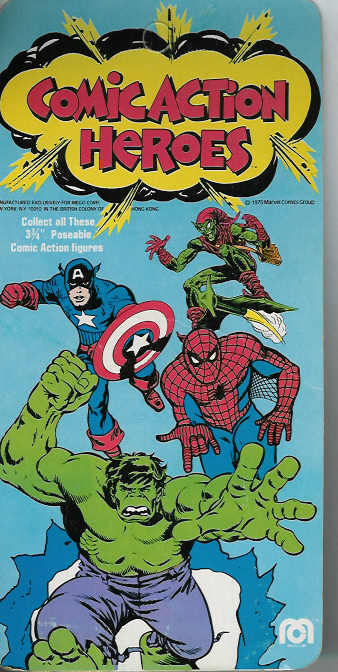 Anyone have one they’d like to share scans of? 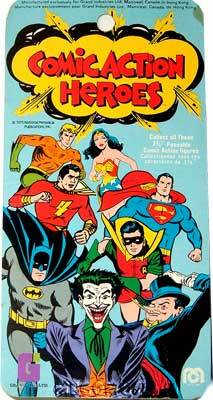 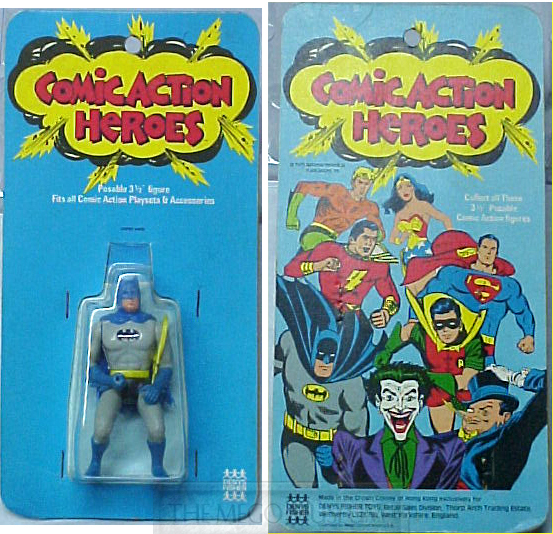 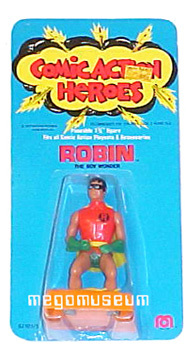 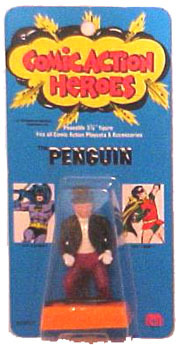 This Comic Action Heroes three pack is from, Denys Fisher who is the only distributor known to have produced this style of three pack. 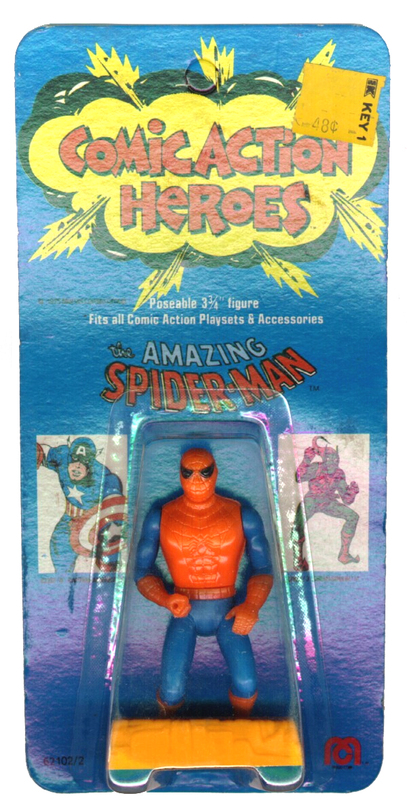 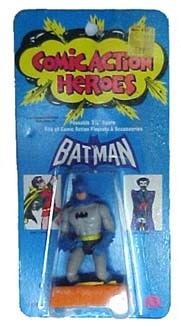 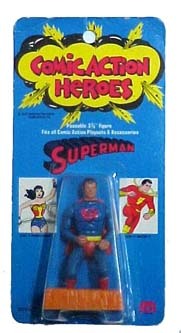 It is unknown if a Marvel Comics 3 Pack exists but variations of this one (with other DC heroes) have been sighted.